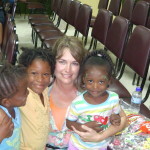 Project Trinidad – Give a Kid a Chance – Ministry International Inc.
Ministry International Inc. and Ministry International Institute is a ministry with an alliance of ministers that are reaching out to millions of souls each year. We had the honor of being connected with Trinidad through one of MII’s ministers, Bishop Dr. Wayne Hughes. He introduced us to Bishop Joel Ali, a Pastor on the island of Trinidad, who has a powerful ministry bringing healing and restoration to the people there and he along with Dr. Richard Jeremiah, have been instrumental in opening several Bible Institutes. SHOE PROJECT: One of the things that God laid on our hearts was to be a blessing to children in the orphanage and to low income families by purchasing nice tennis shoes and socks. 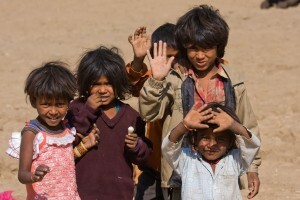 The cost for each child to own a pair of shoes and socks is around $15.00 to $20.00 USD. 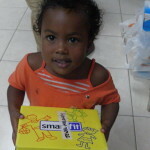 Please seek God for guidance to see if He puts in your heart to make a donation to purchase these children shoes. 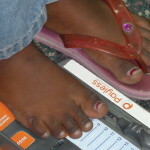 My wife and I will go as MII representatives to Trinidad and use 100% of funds received to purchase shoes and socks. Every church and individual that donates will be recognized in Trinidad as those that gave to meet the need. Your donation can be used as a tax write off and MII will send you a receipt in January for tax purposes. There are ways that you can donate. 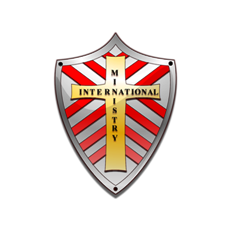 If writing a check, please make it out to Ministry International Inc. and mail it to P.O. Box 1322, Powell, TN 37849. (Be sure to write in the memo field what the donation is going towards.) Also, we have created links below if you would like the convenience of making an any amount donation online. Thank you for your giving heart and may God bless you 100 fold. You can make a difference by giving a kid a chance to have the proper shoes so they can attend school. Thank you for your heart of compassion.